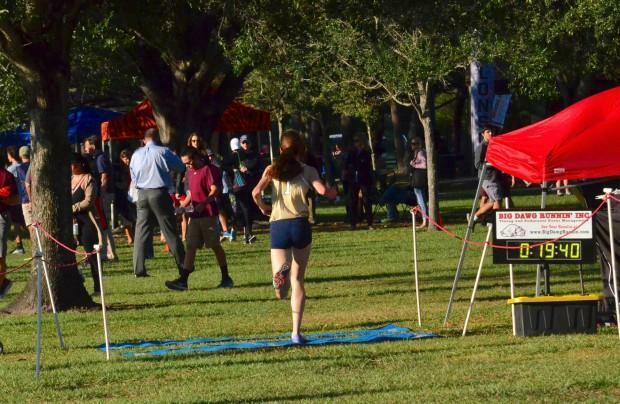 Districts 4A-6 and 2A-10 combined to run on a beautifully cool Wednesday evening at Al Lopez Park in Tampa. 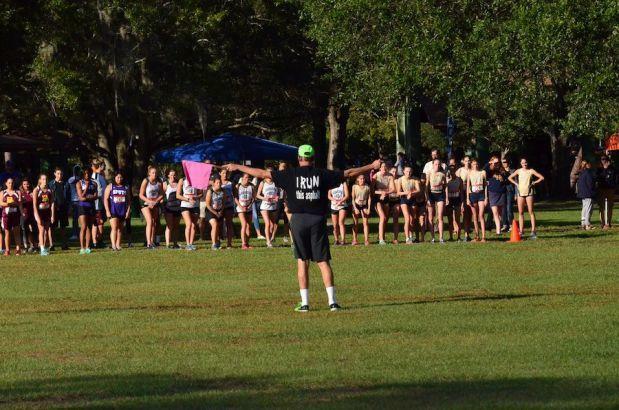 Home to the Hillsborough County meet, Al Lopez is a flat, fast course. 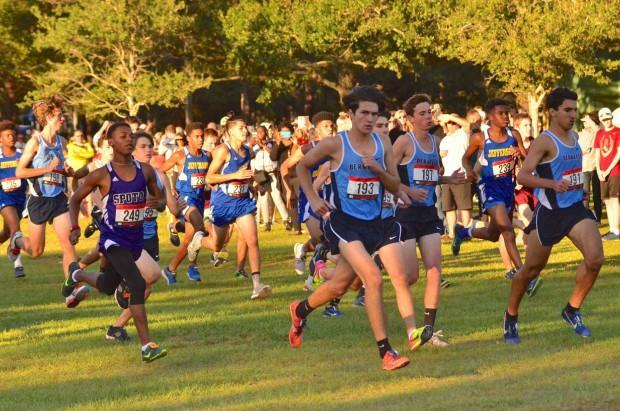 The cool weather opened the door for athletes to set down personal bests and battle for district titles. The course consists of three loops, all roughly a mile long. 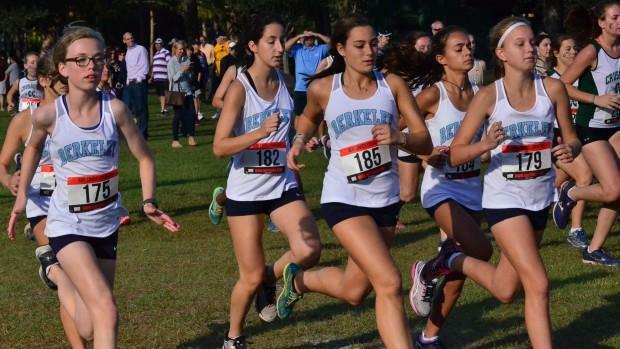 The girls race went off first and an immediate issue came into view regarding the Academy of the Holy Names run at a fifth-straight district title. 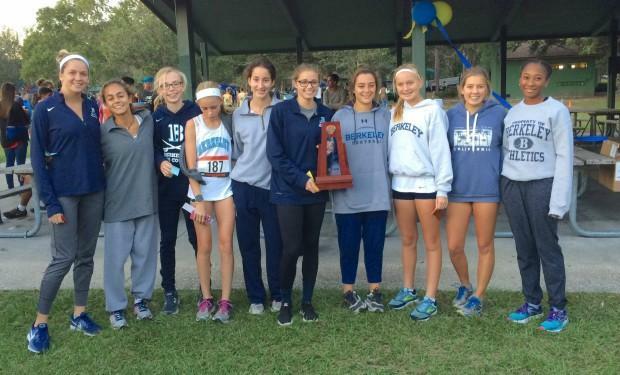 Top Jaguar runner and 2015 district champ Greta Dieck was in a walking boot. The crown would fall to a new runner in 2017. AHN sophomore Megan Hughes made an early case to capture it. 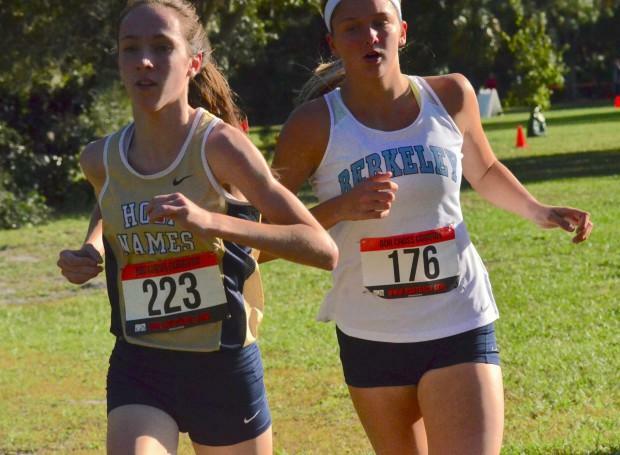 Coming around for the end of the first lap, near the one-mile mark, Hughes was locked in a battle with Berkeley Prep's Sydney Avery, so close they were almost banging elbows. The pair were within arm's reach of each other all the way into the second lap where runners disappear into another section of the park. Pulling up behind them was Berkeley seventh-grader Kylie Stephens. Stephens had a sizeable lead on the rest of the pack already at one mile. When the runners emerged for the end of the second lap, Hughes had made a move, putting six seconds between her and Avery. A two-hundred meter gap opened between Avery and Stephens, Berkeley's Catelin Lipham was roughly 200 meters behing Stephens and then a pack led by AHN's Katherine Jones trailed Lipham. "For the first mile-and-a-half she (Avery) and I were right next to each other fighting for that top spot," Hughes said. "About half way, she started to fall back and I realized there was potential to win. It motivated me to keep going." The motivation and cool weather helped Hughes push even harder for the third lap. When she came into view for the finish, Avery was no longer in sight. Hughes finished with a 19:40.5 that shattered her personal record by 38 seconds. Avery wound up second in 20:29.2, Stephens third at 20:57.2 and Lipham fourth at 21:04.8. AHN brought in two more runners in Jones and Alexa Fredericks but Berkeley's Emma Righter and seventh-grader Finley Jordan rounded out the top five spots for the Bucs and it would be enough to topple AHN 24-35. "We finally got it back," Berkeley coach Eric Lipham said. "Academy had won the last four, big days from Avery and Stephens really helped our case today." 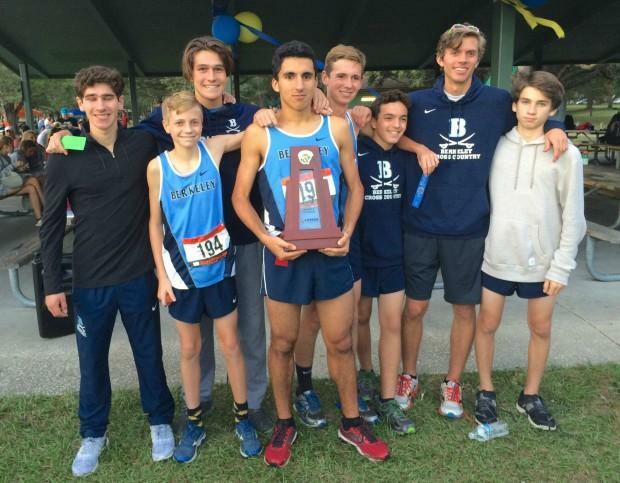 The Bucs would take the boys title, too but not without a fight from upstart Jefferson. 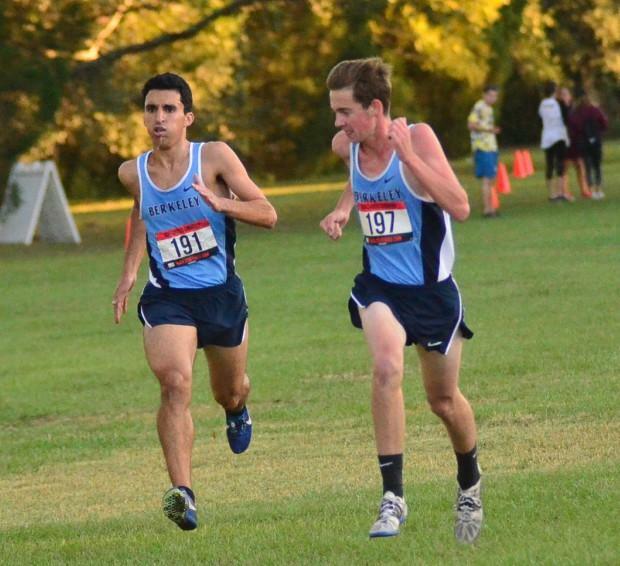 The boys race at the top was a battle between two Bucs, sophomore Robert Morris and senior Gaby Fraifer. The pair pushed out in front together and as they completed the first lap, near one mile, Morris stretched a three-second lead on Fraifer with teammates Colby Kudla and Ryan Shear pulling into third and fourth. Jefferson's Austin Lozada trailed in fifth but moved up into fourth just before the second lap. Morris and Fraifer still paced off each other 1-2 coming around to complete the second lap. Lozada had moved up into third by that point. Coming around for the third lap and down the final straightaway, it was still Morris and Fraifer. A finish line duel would settle the district title. "I saw Gaby (Fraifer) start to pass me and I was like, 'that can't happen' so I passed him back," Morris said. "We kept trading off, it was like a game, a very difficult game." At the line, it was Morris that took it in 17:59.0 and Fraifer in second at 17:59.7. "It came down to who wanted it more," Fraifer said. "If you don't have that mentality, you won't win and all our kids today had that mentality." 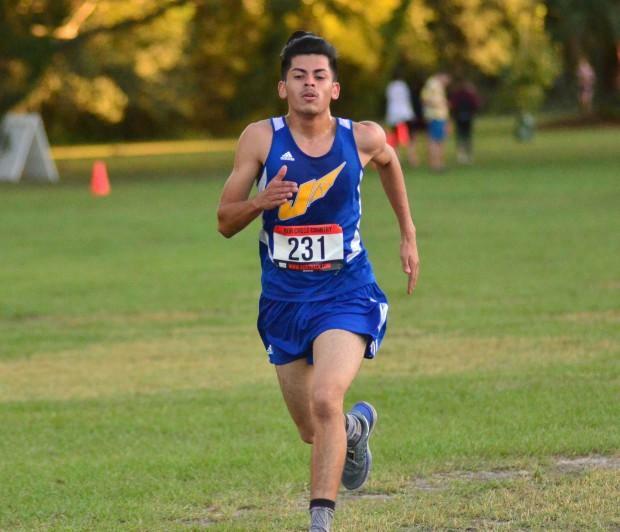 Moving up several spots to take third was Jefferson's Cesar Candelaria (18:16.70). "That third lap was all mental," Candelaria said. "I just wanted to close in and pick off runners one-by-one and keep them in visual contact." 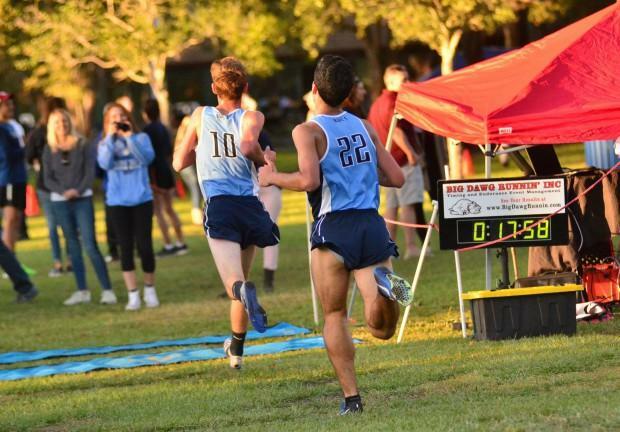 Lozada took fourth for the Dragons in 18:27.0 but then Kudla and Shear grabbed fifth and sixth with eighth-grader Ethan Lipham rounding out the Bucs scorers in eighth. It was enough for the Bucs to out-pace the Dragons 22-39, making it the boys' fourth-straight district title.